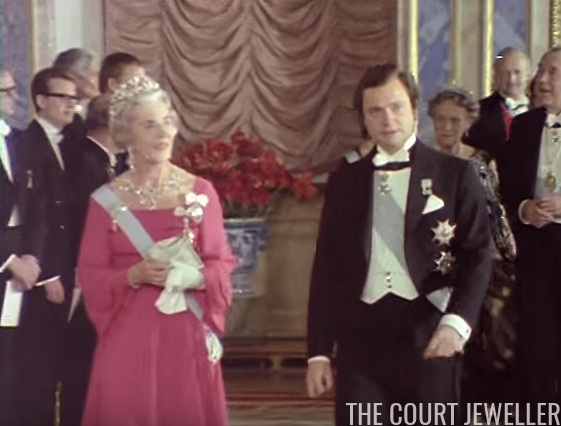 In 1974, the Swedish royal family looked quite a bit different than it does today. At the end of one era and the dawn of another, the family gathered to celebrate the Nobel Prize recipients of 1974 -- and they brought along an extra queen to help with the reception! Only three Swedish royals sat on the stage during the Nobel Prize ceremony in 1974: King Carl XVI Gustaf, Princess Margaretha, and Prince Bertil.